GoXtra News: My top 20 SA underground rappers who give music for free – it’s lame, stop it! 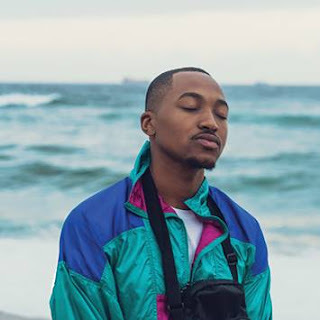 My top 20 SA underground rappers who give music for free – it’s lame, stop it! The underground South African rappers got it all whack – being a rapper does not automatically turns you to a business man. I mean how many times I get links to listen to these cheap or rather free songs? Some of these are hits but as soon as it is a free download that undermines the capabilities of the song being a hit. And I will never listen neither download these cheap songs. Being independent as most of you are, it’s painful and difficult especially if you don’t have financial assistance, well, why force the independence if you cannot maintain it? Is it because you want to remain down there and keep boasting about songs that will never make it into the mainstream? It’s not a way forward at all – you rappers you need to think business and stop boasting to each other about which track is better and which one is thwack, while you’re going nowhere slowly. If you’re underground or rather not well-known giving music for free as a marketing strategy is not going to work for you, this is SA and we don’t like cheap stuff! I mean the way you diss each other forgetting that there’s no better than the other – you’re all standing on the same platform and it’s likely if you can even sell 1000 copies. If your mentality cannot change and think exclusively, well, you’ll never make it into the record stores and the mainstream. Try and build relationships with the well-known artists because staying independent while you’re broke will take you nowhere! A person can only be independent if they have the resources to feed their needs, so let’s not misunderstand the concept of being independent. Let me also not forget those who give a song for free out of an awesome hit Mixtape – my problem is those who give all the songs for free. Anyway even those who give one for free, how many of you have sold more than 1000 copies? I know it’s a dream. You’re simply murdering your talents and being egocentric for no penny in your pockets will not take you any further. And there's none such as I am doing it because I love it, you need money after all! I keep on imagining SA rappers having their own online store, dedicated to all the cats out there, making money, the official single out, radio rotation, official music video out and then here we go straight to the Mzansi Telly screens. Here’s my list of SA Rappers/Artists who give music cheap! 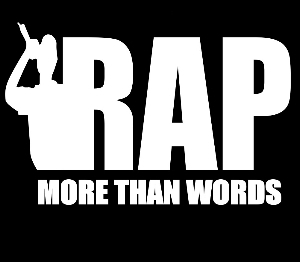 The list is long and some of them have been in the underground movement for all I know – but yet they are nowhere to be role models to the up and coming rappers. We need to grow and develop entrepreneurial skills – I mean instead of being jealous especially the so called legends, why don’t you host workshops and nurture rap talent here at home? What will the rap community recall about you? The legacy of free downloads? How do you proudly update that your song has hit 1000 free downloads not even sales? I mean that's money. How many times have you tried the same method and it does not work? Why not seek other plans? I think a development of a platform that will help you guys do digital distribution and sales is needed. The digital divide in SA is almost at its decrease now and that means more people will be online mostly using their Smartphones and you still want to give your music without gaining a penny? Then stay penniless! ©The views expressed above DO NOT in any way represent GoXtra News, but that of the concerned writer. In publication errors and for editorial editor@goxtranews.com. For more information send your email to info@goxtranews.com.